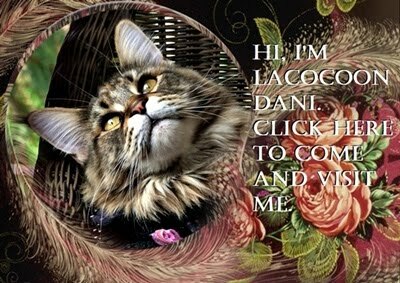 All About Lacocoon Dante: DANTE DOES SOCHI CHIC! 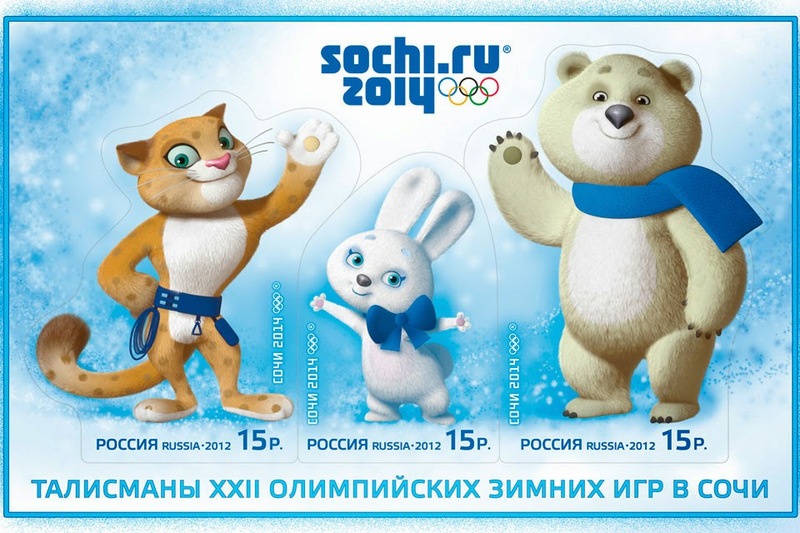 Dante is all excited about the upcoming Olympics in Sochi, Russia. The games begin on Friday, February 7th, so there's not much time left for him to get ready. 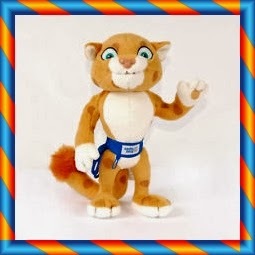 No wonder Dante is so interested -- one of his cousins is an official Olympic rePURResentative! 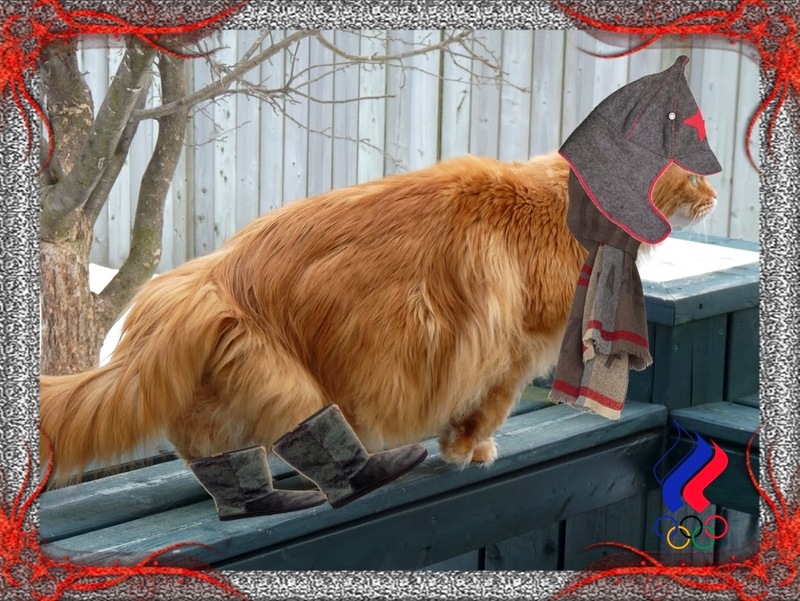 Here is Dante all decked out in his Russian 'Budenovka' hat with a coordinating wool scarf and faux fur boots. "A Budenovka is a distinctive type of hat and an essential part of the Communist uniform of the Russian Civil War, and later. Its official name was the "broadcloth helmet". It is a soft, woollen hat that covers the ears and neck and that can be worn under a helmet. The cap has a beak and folded earflaps that can be buttoned under the chin." When it's warmer, Dante keeps the ear flaps snapped. 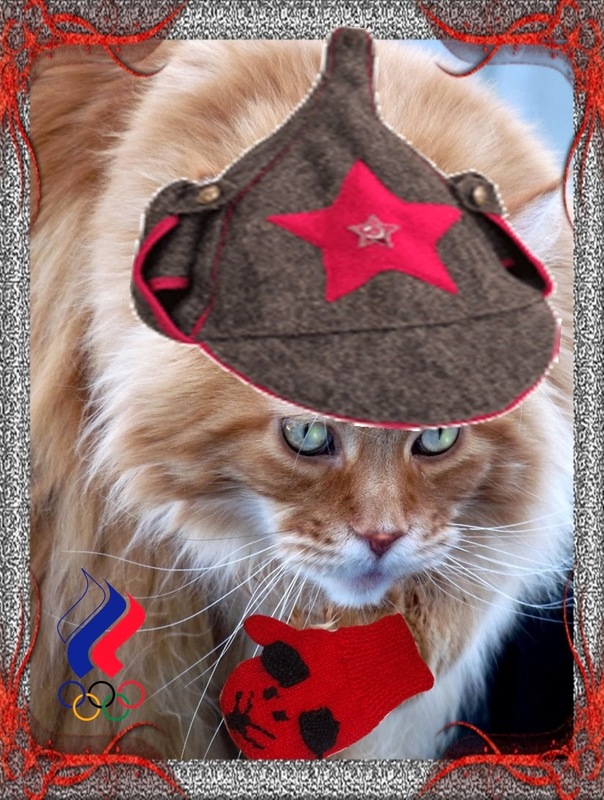 Here he gives his Russian hat -- and the Sochi Olympics -- a big RED thumbs up! "Yoo GO, cuz! ", says he. DANTE'S HOME AND WE HAVE POOP! DANTE: MORE THAN JUST BACKGROUND! DANTE WORKS UP A SWEAT! WORDLESS WEDNESDAY: DANTE IS NO MERE CAT! A DANTE AND SASCHA NEW YEAR EXPLOSION!